As related in a previous article regarding the great boon that “Pokémon Go” has given to shares of its parent company Nintendo, it has become no secret that ever since its July 6 release in the US, Australia and New Zealand, gamers have gone absolutely gaga over the app game and the experience it gives at traveling both the real world and the in-app game environment in order to locate and catch the franchise’s mascot “pocket monsters” or Pokémon. It’s therefore no surprise that, much like earlier “killer” mobile apps like Snapchat and Candy Crush, the new “in thing” of the youth has been adopted by grown-ups either young-at- heart or trying to be hipster. Believe it or not, these adults are in the government and the military too. CNN has captured a cream of the crop of Tweets showcasing the seemingly mind-warping fascination over “Pokémon Go”. Take for instance California Representative Judy Chu (D), who decided that a new tactic in convincing Republicans in the US Congress to stand against gun control legislation was to mention some of the Pokémon she had captured in the nation’s capital. For the curious, she caught a Squirtle and a Pikachu. Her fellow Democrat from Florida, Rep Gwen Graham, had her interns to blame – or thank – for infecting her with the “Go” madness; judging from her smiling pic Tweet with a Poliwag in her office within the Capitol, signs point to the latter. Even the Marine Corps have joined the bandwagon, with their official Twitter account boasting a gratuitously staged shot of two Marines at a firing range hesitating over a Pikachu that had wandered between them and the paper targets. This one came with an admonition on safety violations. But not all those in uniform are treating the little virtual critters (and the players chasing them) light-heartedly. The Military.com website reports that the Facebook page of Joint Base Lewis-McCord in Washington State gave a stern reminder to its “Go”-crazy servicemen not to pursue Pokémon into restricted base areas and the private homes of base personnel’s families. 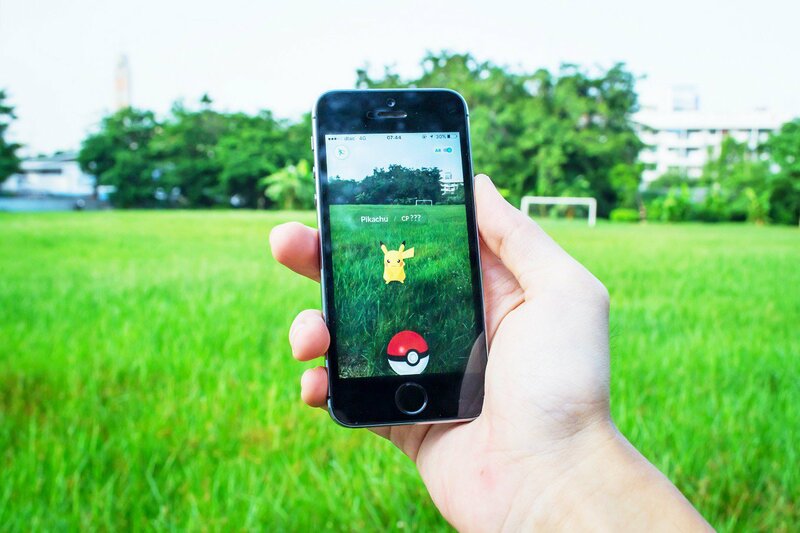 USA Today adds that a gameplay feature of “Pokémon Go” involving turning city landmarks into Pokémon “Gyms” where players can do battle with their Pokémon has figured in the LGBT Community’s ongoing beef with the fiercely anti-gay Westboro Baptist Church in Topeka, Kansas. The app tended to designated parks, memorials or places of worship as in-game Gyms, and Westboro had been no exception. A sympathetic “Go” player has seized control of the virtual Gym at the location and assigned a cute Clefairy nicknamed “LoveisLove” – a popular rallying cry of LGBT crusaders for acceptance and against discrimination. When pictures of the place went viral on social media, the Westboro clergy actually fought back fire with fire, playing the app game themselves with a Jigglypuff as their champion to remove “LoveisLove” from their church gym as a lesson to gay-supporting “Bible-dumb rebels”. In other news, Spotify has told Business Insider that the “Pokémon Go” phenomenon has increased the frequency of globally streaming the original Pokémon English theme song “Gotta Catch ‘Em All” on their service by a whopping 362% percent, while streams of Pokémon-related songs in general have tripled all in the past week. One wonders where this overwhelming fad will go next.